HM Courts Service, the body responsible for the collection of fines, confiscation orders and penalties imposed by the judiciary and police, has been unable to provide proper accounting records supporting those fines, confiscation orders and penalties. "Because of limitations in the underlying systems, HM Courts Service has not been able to provide me with proper accounting records relating to the collection of fines, confiscation orders and penalties. I have therefore disclaimed my audit opinion on its Trust Statement accounts. I welcome the further steps planned by the Courts Service and Ministry of Justice to improve the evidence on its financial position relating to fines, confiscation orders and penalties. However, I recognise that they and other government bodies face significant challenges in improving the extent of available data and on reducing the level of outstanding debt." Amyas Morse, Comptroller and Auditor General, reported to Parliament today that HM Courts Service, the body responsible for the collection of fines, confiscation orders and penalties imposed by the judiciary and police, has been unable to provide him with proper accounting records supporting those fines, confiscation orders and penalties. Today’s report highlights how limitations in Libra, the case management IT system in use across magistrates’ courts, and similar systems have contributed towards HM Courts Service’s inability to provide information at an individual transactions level to support the accounts. The Courts Service and the Ministry of Justice have made some recent improvements to the collection of fines, confiscation orders and penalties. These include new performance measures to monitor collection rates, timeliness and levels of arrears for fines; developments in enforcement and collection procedures; and additional work with other government bodies to maximise recoveries. The Ministry also plans to carry out further investigations into the accounting functionality of Libra. 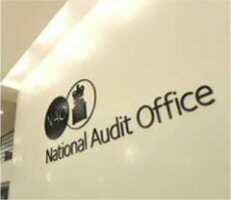 However, both the Ministry and Courts Service have informed the NAO that they may not be able to address the accounting records issue fully until Libra and other relevant systems are significantly enhanced or replaced.